Getting a tan may not depend on how much sun people get, but rather when they get it. This is the finding from a new international research project. The study, published in Molecular Cell, found that sun exposure every other day was more effective for tanning and caused less DNA damage than daily exposure. This kind of exposure also avoided causing the skin “thickening” seen in people exposed to the sun every day. So, according to the research, those wanting a strong tan, while avoiding that “old leather” look often seen in long-term sun worshippers would be best off taking 24-hour breaks between sunbathing sessions. The study also suggests it might be possible to create cosmetics that can give people a “natural” tan, as well as increasing our understanding of skin cancer, which is killing an increasing number of people. However, none of this alters the risk of skin cancer from exposure to the sun – or the health advice about minimising exposure. The researchers looked at the impact of the ultra-violet light found in the sun’s rays on human and mouse skin and in cultured cells, and identified the importance of a protein called MITF. This acts like a clock, synchronising and coordinating two systems used to protect the body from the harmful effects of sunlight. One protective process, which starts within a few minutes of exposure, thickens our skin and tries to repair the sun’s damage to our DNA. The other process starts within a few hours and produces the dark pigment melanin in specialised skin cells called melanocytes. The pigment then passes to the main type of skin cells, keratinocytes. It is this melanin that absorbs some of the harmful UV energy produced by the sun and gives people a tanned appearance. The importance of melanin cannot be understated, as it reduces the amount of damage the sun does to DNA, which can lead to cancer. 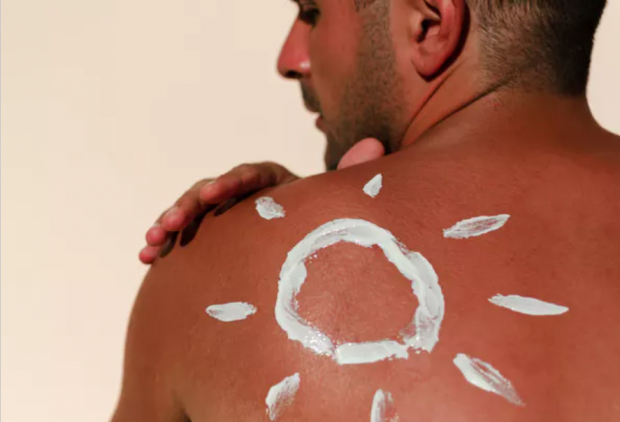 The researchers were able to show that there was less damage to DNA in skin exposed to UV light every other day, even though the DNA repair process wasn’t switched on as often. This is probably because exposure every other day produced more melanin. The researchers showed that the exposing the skin to UV light increased the concentration of MITF protein in the skin. But the level of MITF doesn’t simply increase and then decrease. Instead it displays a decaying oscillation, repeatedly falling and rising again but gradually disappearing over 48 hours. But the researchers also showed that if a second period of exposure started after just 24 hours, before MITF levels have returned to their baseline level, different genes were activated and the result was less tanning and more skin thickening. Interestingly, previous work published in The Lancet has also shown that the body’s vitamin D concentrations are also higher when there is a 24-hour gap between sun exposure. Vitamin D is produced in the skin using energy from UV light and is critical for a healthy immune system, heart, protection from cancer, sepsis and a whole host of other functions. The new findings will be of particular interest to the cosmetics industry. They mean it could be possible to develop products containing proteins that will stimulate the skin into developing a “natural” tan, without being exposed to the harmful effects of the sun. So a risk-free suntan may be possible in the future. In the meantime, the research suggests it may be best to use a higher factor sunblock – or avoiding the sun altogether – on alternate days. But it’s important to remember that there is no safe amount of tanning. Any sustained exposure to the sun increases your risk of skin cancer so you should still wear appropriate protection every day.